Travel is one of the most important things that any individual can do for their personal and professional life. There are certain skills, lessons, and experiences that can only be gained from moving to a place and environment that is vastly different from what you are used to. Many people only find their true source of inner strength when they are in a city without a single friend or family member and they find themselves in a difficult situation. For professionals, traveling is important because it broadens our horizons and teaches us things about the business practices and industries that are shaping our world and the lives of the people in different communities. He found early success in his life because of his professional ambitions and unique ability to network with people from all walks of life. He quickly climbed the corporate ladder after graduating in direct sales and marketing. At an early age, he was receiving awards and recognition for his accomplishments as being in the top .0002% of sales representatives in the largest direct sales company in the world. For Dean Kosage, the true measure of success is helping others achieve their goals. That is why he realized that he was outgrowing the culture of his previous company and decided to start helping others with their careers. He founded a professional life coaching company called KMI, later rebranded to Freestyle. Over twenty-three years, he helped more than 2 million aspiring entrepreneurs from more than twenty-eight countries gain access to the resources and skills that they needed to find success in their professional lives but could not gain through traditional schooling. You can tell a lot about a person from whom they choose to spend their time with. Of course, many people choose their friends based on common interests; artists tend to spend time with more artistic people; athletes tend to spend time with more athletic people However, when one makes a conscious decision to surround themselves with individuals who are an inspiration to them, and not just someone who shares common interests, the result is that we are more likely to accomplish the goals that we have set out for ourselves. If you want to make changes in your professional life, it is important to surround yourself with individuals who are also climbing the corporate ladder and earning more money than you. He spent much of his time distancing himself from that period and building a new life for himself. “I was always drawn to the people I felt were more kind and used their power for good. The people I related to the most were people who lived extraordinary lives.” He also told the story of being in the gym and noticing a group of young and accomplished-looking professionals. After speaking with them, he shared the story of this experience with his friends at the time and was surprised by their reaction. Rather than being receptive to his newfound desire to pursue professional success, his friends didn’t understand. There is an art to influencing others. It is not about manipulating people into doing what you want, it is about inspiring them to share the same idea, the same vision, of success that motivates you and your work. Luckily, the rise of technology and its pervasiveness in our daily lives has allowed business and industry leaders to connect with individuals around the world, regardless of location and time. This has made it possible for those with inspirational stories and skillsets to get their message out there to people around the world. For Dean Kosage, publishing inspiration was the motivation for founding his company, Defining Moments Publishing. Defining Moments Publishing focuses on printing inspiring stories of incredible individuals. Their Amazon #1 Bestselling book, Defining Moments of Courage profiles successful individuals from around the world and from all walks of life. They share their sorties of success and the key moments in their life that shaped their professional careers. As a tool for influencing others and starting a global movement, books such as Defining Moments of Courage allow professionals like Dean Kosage to inspire millions of people with his messages of motivation and professional success. We have all heard someone describe their friend as “book smart” as opposed to “street smart”. Many valuable things can be learned in the classroom or from reading about it in a book. This is how the vast majority of us learned the skills that we use every day. School taught us how to read, write, do math, discuss history, and argue our points. While these are valuable skills, they are only half of the equation. The truly capable person is one who balances their ‘book’ knowledge with being street smart. In contrast to book smarts, street smarts are lessons, information or stories that can only be gained through experience. Think of street smarts and book smarts in terms of a courtroom. Book smarts are the facts, evidence, and events that make up the backbone of your case. Street smarts are the ways in which you deliver your argument, present your information, and influence the judge and jury. Without book smarts, the most suave and charismatic persona has nothing tangible to say. Without street smarts, the best argument falls to pieces and fails to make it into the hearts and minds of the jury. This ability, paired with the traditional schooling he received in high school and later in life, are what make Dean such an effective entrepreneur. He has successfully been able to incorporate the lessons he learned on the water with the formal education he received at school. This, in addition to his innate tenacity and ambition, gave Dean Kosage the perfect combination of qualities to become a leader in the business world. It is said to be one of the most difficult jobs in life, being a parent. Often all other responsibilities fall slightly by the wayside while bringing up children takes precedence for any attentive parent who wants the best for their children. The best for children does not necessarily mean giving them your undivided attention, but is instead leading by example and remaining successful throughout different facets of life. Children who go on to be successful usually are not the ones who have been spoiled throughout their childhood, they are ones who have learned through experiences. Education is key, but this is not confined to what is learned during school, and being a parent means educated your child in the best way possible about life. Each parent can bring a different dynamic to a child’s upbringing. ‘If I Were Your Daddy’ is a bestselling book which provides the reader with a collection of different essays regarding being a father. Each contributor’s story is unique and allows for a glimpse into how each father has provided for their children in different ways, from CEOs to Grammy award winning musicians, to multimillionaires and bestselling authors. Dean Kosage is an entrepreneur and business success, who also raised his child as a single father. In sharing his first-hand experiences as a father his wisdom will help better equip other fathers who are maybe struggling to balance work responsibilities with parenthood. Reading Dean Kosage, How To Be Successful as a Businessman and Single Father, this is clearly a passion of his. The role of a parent is to impart life skills, and to give your child the best chance of success. Dean Kosage’s own upbringing was out of the ordinary, having grown up primarily on boats and in learning a lot of what he knows from nature. In parenting therefore he also is able to give his daughter a special insight into the ways of the world, and also show her by example how anyone can find their own success. In Dean Kosage, Environment as the First Step Towards Success read also about how he overcame his struggles in marriage to provide for his daughter. In frank accounts throughout the bestselling book ‘If I Were Your Daddy’ fathers and mothers around the world are able to see how any difficulty can be turned into a learning experience for a child. This can give them an education on life more valuable than their counterparts. Courage is an interested characteristic. It is not necessarily a quality that people are born with, but one that is acquired through experience. Only if an individual understands the true value of it will they subsequently understand that to utilize courage demands effort. Hemingway famously defined courage as ‘grace under pressure.’ People who have faced challenges and know how to adeptly overcome obstacles in their way, who have been under pressure and still performed, they know how to harness courage. ‘Defining Moments of Courage’ is a bestselling book which tells the tales of people who have overcome adversities in order to achieve success, in professional and personal capacities. Dean Kosage, Chief Executive Officer of Zooplr, Inc is a noted contributor of the book, and wants to impart his own story to help others find ways to best draw out their potential for success. Kosage had an unusual childhood, growing up off grid, yet instead of using this as an excuse he utilized these experiences to make a difference. No one person’s path to career or personal achievements is the same, yet often the methods and steps taken to best learn from experiences are strikingly similar. Difficulties in childhood or young adult life provide motivation for a certain type of person. It demands courage, and ultimately the determination and awareness necessary to learn from these important times in life. Many stand to profit from listening to the stories of others, and learning that instead of being held back they need to learn to help themselves. Dean Kosage describes this as cultivating an inner authority, an independent way of thinking that does not completely eschew outer influences but that can discern between them. Through experience one can find their inner authority, find their inner courage, and use it to further themselves in any given situation. As someone who has managed to take the right steps throughout his career in order to prove that his own courage has lead him down the right path, Dean Kosage’s business endeavors currently also help others find that success. In Dean Kosage, Fusing Minds and Business read more about how he is capable of bringing together like-minded people in order to generate success. There is one thing that high achievers across industries have in common, and it is not just ambition. In areas of sport, business, or academia, people who have achieved success have each cultivated an inner authority that gives them courage. Their success is proof that they are willing to go over and above average in their pursuits. By breaking out of the mold and embracing challenges people are naturally more adaptable to any given situation. This cultivates what is called inner authority. Their inner authority gives them the courage to find innovative solutions and promote themselves as useful within a range of contexts. Cultivating this from an early age sets any individual up to success at their endeavors within their professional and personal lives. Successful entrepreneurs are the pinnacle example of individuals who have broken barriers and expanded horizons. This is usually because they have throughout their life and career embraced difficulties and adapted to new challenges constructively by using an inner authority instead of depending on received ideas. This is certainly something true about Dean Kosage, who grew up off the grid and has used these experiences to grow his career from success to success. He contributed to the bestselling ‘Defining Moments of Courage’, a collection of tales from entrepreneurs, parents, and successful business individuals alike that seek to inspire and invigorate people around the world. Having an inner authority critically means being able to independently analyze what value any outer authority will bring to decision making, instead of depending on a preordained route. Many look to religious texts, their parents, their managers, for advice instead of relying on their own abilities. Being able to trust your own opinion is invaluable. It means being able to make quick and effective action, highly beneficial to those who work in a competitive, corporate world, or athletes whose success depends on quick, tactical thinking, or even parents who want to be the provide the best care possible for their children. Dean Kosage, on Scoop.it here, knew from an early age that he was ambitious. Having grown up on boats and being raised essentially ‘off grid’ he gained a unique insight into adult life, and his curiosity has lead to a career in making a difference as an entrepreneur, and as a parent. There is a wealth of information available in paper print and online for those just starting out in the world of entrepreneurship. You might be looking to create your first startup, bring a product to market, or network in order to make contacts with like-minded professionals in your chosen industry. Whatever your motivation, it pays to have as much information as possible before you decide to navigate the murky waters of entrepreneurship on your own. Luckily, entrepreneurs have been publishing accounts of their experiences for a number of years in the hopes of ushering in and assisting the next generation with their endeavors. Many professionals admit that a lack of information has seriously stunted the industry for decades and with the rise of the information era, budding business professionals can now benefit from the new ease of access to information and experiences. If you are looking to start your entrepreneurial career, be sure to leaf through one of these publications first. Author Dean Kosage (videos on YouTube Channel) has been an entrepreneur his entire life. From starting out with small restaurants to climbing his way up the corporate sales ladder, he has gathered a wealth of information over decades of experience in the industry. After founding and operating a professional life coaching company for more than 23 years, he published his experiences in a collection of stories titled Defining Moments of Courage. This book brings together stories of entrepreneurs of all kinds, from top CEOs and executives, to the lives of stay at home parents. It is the perfect primer for understanding the breadth of possibilities in entrepreneurship. Works of a similar nature to Dean Kosage’s are worth equal mention. Think and Grow Rich by Napoleon Hill and Toks K. Oyegunle has been on every CEOs reading list since it was first published in 1937, and for good reason. The fact that it still consistently ranks as one of the most influential books on business and entrepreneurship speaks to its timeless advice. As the title suggests, much of the book is dedicated to advice on generating revenue and income, but the author insists that because of the style of the book, it can help people succeed in any line of work. The Art of the Start by Guy Kawasaki is geared towards those who are on the cusp of finalising their enterprise. With advice, much like Dean Kosage, Hill and Oyegunle, this book helps with pitching new business ideas and networking for potential investors. There is no doubt that the world of entrepreneurship is not for everyone. You have to be ambitious, serious, well connected, and maybe even a little crazy to think you can enter the business world on your own and find success. But it can be done. The key is to establish extensive professional networks and relationships in order to learn from others, gain new experiences, and take stock of what resources you have at your disposal. Luckily, this is easier than ever in our technologically dependent world. There are a variety of digital resources for budding entrepreneurs and one of the best means of getting these resources is through our mobile devices. Dean Kosage, Chief Executive Officer of Zooplr Inc. and one of the most successful entrepreneurs of our time, created his company in order to bring together like-minded professionals. Zooplr brings together chat, blogging, and eLearning to help build communities of young entrepreneurs. Apps like Evernote and Letterspace make it possible to keep track of huge amounts of information on the go by syncing your mobile device with online platforms and categorizing information using tags. There is even a sort of virtual secretary resource with LISTEN, an app that automatically responds with SMS messages when you cannot take a call. While the world of starts up and entrepreneurship can be daunting, there are generations of professionals developing hundreds of tools to make the leap easier for the next generation. When most individuals try to break into the world of entrepreneurship, they are focused on their business or their product. They believe that if only they could create the perfect products or streamline the perfect business strategy, and then everything else will fall into place. However, there are a number of steps that need to be taken before bringing any idea to market, and one of the biggest pitfalls of budding entrepreneurs is that they don’t realize that the most important product they are trying to sell is themselves. As an entrepreneur, you are asking for trust. You’re asking for investors to trust your ideas and execution and you’re asking customers to trust that you have a quality product. That is why it is so crucial for young entrepreneurs to market themselves and think of their reputation as their most crucial product. Entrepreneur and professional life coach Dean Kosage teaches this in his presentations and books. It is also the reason you can find a Dean Kosage LifeStream blog, WordPress, and LinkedIn. Entrepreneurs need to hit social media hard and establish lasting networks of professional contacts. Only by doing this will they gain the resources necessary to start their own business or product line. Dean Kosage has a plethora of professional experience. He began his career with MLM company Amway and was highly successful, winning awards for quickly moving up to its ranks. He was in the .002% of all MLM leaders in the world according to Amway Statistics. In two short years, Dean rose to the Executive level, and then only a few years later made it to Executive Diamond, the highest ranking available. As an established MLM company, Amway enabled Dean to start on the right footing, ensuring a flexible and successful career in the years to follow. Dean Kosage, was also the Chief Executive Officer of Zooplr, Inc. Zooplris a breakthrough mobile app that brings chat, blogging, and eLearning together for the first time. As a gamified search and discovery company, Zooplr helps entrepreneurs and other brilliant minds to educate and redefine communication through smart phones. There is a lot more to learn about Dean Kosage, which can be found on his official account on Twitter. It’s worth mentioning that Dean did not always have an easy life and had to work hard to get where he is today. He grew up moving from one place to the next. It may have not been the best environment for a young kid to grow up in, but Dean managed to make the most out of the situation and learn from it. He knew from a young age that he wanted to be successful and to achieve that success by legitimate means. And although he achieved great success at Amway, it was also while working for the company that he was encouraged to marry young. While this led to the birth of his beloved daughter, he also divorced shortly after, raising his daughter alone. Not one to let setbacks consume him, he home-schooled his daughter and provided several tutors for her while he was on tour as a musician. This was a very difficult time for Dean, having to juggle work as well as making sure his daughter was taken care of. Having come out on top despite these testing moments, Dean has made the most of them by applying them to his next business venture in motivational speaking and life coaching. Dean founded his company Kosage Motivation, Inc. with the goal of motivating individuals to exit what he refers to as “survival mode” and enter “success mode.” He has truly helped encourage individuals to take positive control of their lives and go after their dreams, which is exactly what he did. Artist, author, and entrepreneur, About Dean Kosage is the perfect example of what can be accomplished by diversifying your skill set and taking advantage of every opportunity given to you. Having started in direct sales and marketing, it was clear right away that Dean Kosage had a knack for professional networking and sales. This led to him quickly climbing the ladder with Amway. However, he had to distance himself from Amway because the company was having problems managing their brand. Realizing that he had outgrown the company, Dean Kosage decided to move on to better things, a decision that changed his life for the better. He entered the business world on his own and inspired by his own success. He founded his own professional life coaching business to help other entrepreneurs called KMI. Over twenty-three years, he inspired more than two million athletes, actors, singers, and other entrepreneurs, helping them get the knowledge and resources necessary to find success in their own careers. His professional life has been built on helping others find success. Because of his early career, Dean Kosage knew that he could help business in general by inspiring others with his story of success. In any endeavor, motivation can emerge to help you realize and accomplish your dreams, only to suddenly disappear when you need it most. This is especially true for entrepreneurs likeDean Kosage, for whom defying the oddsis practically second nature. The continuous struggle involved in bringing a single idea or product to the market can be an exhausting and arduous task, and rekindling the passion and dedication that initiated the idea can seem almost impossible. This is why it’s important for entrepreneurs to engage with those who have supported or helped them in the past, such as trusted partners or friends, or to find new sources of motivation with the help of experts and motivational speakers. Personal growth and development has always been a primary focus of Dean Kosage’s personal and professional life, especially after dealing with the devastating aftermath of a divorce. But instead of retreating from the hard work and stress of a successful career, Kosage worked even harder as an entrepreneur and single father. Already an established network marketing expert at Amway, one of the largest multi-level marketing (MLM) companies in the world, Kosage’s experience during his divorce opened his eyes to a world of other single fathers and divorcees who had been through similar experiences, but who were struggling to reorient their lives in a positive direction. Always someone who has been skilled at reaching out and connecting with people, Dean Kosage decided to use his personal experience to help others get their lives back on track. For Dean Kosage, helping others is a reward within itself. Kosage’s commitment to his career and family life is one of the many reasons he was recognized by Cambridge Who’s Who for showing dedication, leadership, and excellence in all aspects of motivational consulting. Cambridge Who’s Who is the fastest-growing publisher of executive, professional, and entrepreneur biographies in the world today. The organization’s mission is to give professional credit to those who deserve it, specifically to those who display the competitive edge and business leadership skills needed to be successful in today’s corporate world. The Cambridge Who’s Who Registry provides a detailed compilation of biographies that highlight members’ expertise, achievements, affiliations, and education. This creates an expansive networking web of professionals who can assist young entrepreneurs with job recruitment, career enhancement, and new business development. In addition to his own success, Kosage has always made helping others become successful a major priority. No matter what your dreams are, Dean Kosage wants to motivate and inspire you. It is important in life to surround ourselves with individuals who push us to find success and achieve our full potential. This is equally important in our personal and professional lives, but not everyone has the opportunity to find mentors and close friends who can play this role. For Dean Kosage, this was true, having come from a turbulent family life and struggle through a difficult divorce. However, his determination to overcome challenges and the eventual success he found in doing so has inspired him to share his story through his book, Defining Moments of Courage. For Dean Kosage, publishing inspiration was a means of reaching the widest possible audience with his story. His book, Defining Moments of Courage, is a collection of stories from successful business professionals who share their sources of inspiration and determination. The goal of Defining Moments of Courage is to provide individuals around the world with stories of inspirational professionals. In doing so, Dean Kosage hopes that he can spread positivity and ambition throughout the world for those who lack direct role models in their personal and professional lives. This has created a global movement of professional life coaching that Dean Kosage has become the leader of. His work as a professional life coach has motivated thousands of individuals around the world to pursue their dreams in the face of great adversity. In the face of great adversity, it is important to remain strong and courageous. There is no room in success for personal doubt, especially when it comes to one’s professional life. When faced with challenges in our careers, it is crucial that we do not compromise our standards of excellence and our expectations for ourselves. Dean Kosage, entertainer, author, and entrepreneur, is an example of what happens when a devoted professional commits himself to his goals. Despite facing seemingly insurmountable challenges in his life, Dean Kosage has climbed every mountain he encountered, building a career that stands as a model to others. Amway set the stage for the first in several successes for Dean Kosage, inspiring courage and success in the world of business, by quickly becoming a leader in the company. Starting in his early twenties, Dean Kosage became involved with the MLM company as a means of generating income and developing his professional skills. With Amway, he was able to build his reputation as a capable salesman, earning the coveted Executive Diamond status and proving his leadership skills within the company. However, while Dean Kosage’s career was rocketing, his personal life was spiraling out of control. After going through an extremely difficult divorce, he was left alone as a single parent to raise his daughter, Teagan. Set before him was a challenge: Kosage needed to find a way to raise his daughter with all the love and attention she deserved, while simultaneously refusing to compromise on his professional ambitions. While most individuals would consider this a devastating situation, Dean Kosage found the courage necessary to find balance in his personal and professional life. One phrase will always remind the world of Dean Kosage, “success through adversity”. Handling the responsibilities of a single parent was something that he took great pride and a sense of accomplishment in. He decided to devote himself to his daughter, homeschooling her until the age of eleven so she could have the best education possible. At the same, he was able to financially provide for his family, continuing his rise in the ranks at Amway. In one short year following his divorce, Dean Kosage had a healthy and happy daughter, as well as an award from 2008 Cambridge Who’s Who, received onstage in front of more than 30,000 individuals and business professionals. What is the difference between those who are successful and those who fail? It is important to foster the necessary skills and experiences that will help us pursue our personal and professional goals, but often having the right mindset is the deciding factor between staying focused and giving up. Dean Kosage is an entertainer, author, and successful entrepreneur who understands this fact. Having overcome great personal adversity in his life, Dean Kosage has managed to stay committed to things that truly matter to him. Not only does this include a long string of professional endeavors, it also includes taking care of the people around him. The personal and professional life of Dean Kosage, an inspiring story of fighting against the odds, begins in his early twenties when he joined the company Amway. Bringing with him an unfailing devotion to excellence, he quickly rose to prominence within the company. As his mentors recognized his potential, they gave him more responsibility and became more involved in his personal life. Outside of work, Dean Kosage was dating a woman for only six months before he was pressured into marrying her. After two years, he went through a turbulent divorce that would have emotionally destroyed a more vulnerable person. However, out of this darkness came Dean Kosage’s greatest gift: his beautiful daughter Teagan. His daughter has been the inspiration for his success ever since. Raising a child as a single parent is not something that most people can handle. For Dean Kosage, however, nothing would stand in the way of him pursuing his professional dreams while at the same time raising his daughter with the values and attention she deserved. Because of this, two short years after his divorce, Dean Kosage rose further still up the corporate ladder and was honored in 2008 by Cambridge Who’s Who, accepting the award in front of more than 30,000 people. Since then, he has followed his passion for success as an entrepreneur and single parent. His talent for communication and profound business acumen was something that he felt he could share with the world through publishing. Dean Kosage’s book, “Defining Moments of Courage”, is a Publishing Inspiration. Comprised of a collection of inspirational stories from burgeoning entrepreneurs, including corporate executives and single parents, Dean Kosage wrote this book with the hope of encouraging others to stay focused on what is important to them, while juggling the responsibilities of their personal and professional lives. The Beatles famously sang “We all want to change the world,” but how does one individual actually take an idea and transform it into a global movement? Dean Kosage has long been inspiring courage and success in the world of business, traveling all over the globe giving keynote speeches about how to reorient your life after going through something difficult, such as divorce or becoming a single father. But how is it that Kosage has been able to take a single idea and experience and turn it into a global movement? Many people have been through a divorce and become single fathers, and yet way fewer have been able to take these experiences and turn them into courage and motivation. In today’s fast-paced and individualistic world, we seldom take the time to slow down and look around us. We often overlook our community of fellow men and women who, like us, have a voice they want to express, but not a safe space to communicate it. Cultivating dialogues and connections between strangers is something that Dean Kosage has been accomplishing for years as a motivational speaker, and if there’s one thing he’s learned along his journey, it’s that we are all much more similar than we are different. The first step to creating a global movement is to find an idea that strikes a chord with people. For Dean Kosage, this idea was finding success through adversity. Everyone has experienced a setback or obstacle that at first seemed impossible to overcome, which is why Kosage’s story resonates so deeply with people from all walks of life. When he first recovered from his divorce and decided to reenter business, Dean Kosage said he was a bit concerned about how others’ perceptions of him would change now that he was a divorcee and single dad. Yet, he discovered that people were actually even more drawn to him, having been inspired by his perseverance and ambition, and respecting his decision to pursue his career while also being the best father possible. This experience taught Dean Kosage one of the most important lessons about creating a global movement: letting go of labels. Instead of defining himself as a single father or divorcee, Kosage took on the identity of a man who, like everyone else, had faced challenges and worked hard to overcome them. Of course his specific experiences have been integral to his success, but by positioning these experiences within an overarching narrative of finding the courage to not give up, Kosage’s story has had the power to inspire millions around the world. Dean Kosage is the kind of man for whom defying the odds has become second nature; a task that was never more clear than when he became a young, single father while working at Amway, one of the largest MLM companies in the world. Becoming a father is one of the most rewarding, yet challenging experiences a man can have. Taking on the responsibility for the care of another life can be an exciting prospect, but it also brings along with it a lot of practical considerations, worries, and questions. This is even truer when you are starting out into this uncharted territory on your own. Kosage’s story is one that pays homage to fathers all over the world who work hard to give their kids what they need and deserve. 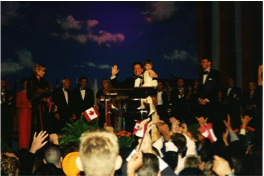 When Dean Kosage was just in his early twenties, his natural talent for the network marketing industry was quickly leading him to become one of the most successful players at Amway, becoming the fastest and youngest IBO to achieve the Pearl Level. However, Kosage’s life took a brief detour when he married and subsequently divorced a woman he had only known for six months, leaving him not only with the financial and emotional stress of being a divorcee, but also as a single father to his only child, Teagan. As someone who has always found success through adversity, Dean Kosage chose to do the seemingly impossible: be the best single father he could possibly be, while simultaneously pursuing his career in network marketing and undertaking an array of entrepreneurial endeavors. In today’s world, many successful men, especially entrepreneurs, have terrible relationships with their children because of the time demand that their jobs require. Finding a work life balance can be extremely difficult, so many choose to focus on their work, substituting an authentic relationship with their kids with the material possessions that having a high-paying job makes possible. Dean Kosage is the rare exception. While it is true that he works hard to give Teagan the best that the world has to offer, such as the limousine he recently bought for the two of them to ride around in together, Kosage believes that no amount of toys or number of cars can replace the special bond between a father and his daughter. Though he has enjoyed an astounding level of success in the business world, Teagan will always be Kosage’s first priority – you just can’t put a price family. There are few things more powerful in the world than the written word. For centuries, authors have been shaping the ways in which the public thinks, acts, and views the world as well as their relationships. Some writers choose to focus on life’s struggles, chronicling the battles of the common man in his pursuit of happiness. Still others choose to focus on the beauty in life, penning novels about love, friendship, and finding success. These stories, both the negative and the positive, have been sources of inspiration for millions of people around the world. They have given birth to the “self-help” genre, a category of reading that is often misunderstood as fluffy, verbose, or overly general. However, books that deal directly with helping individuals find success in life are a critical way of motivating people through their struggles. For example, take “Defining Moments of Courage”, a collection of stories about the lives of successful entrepreneurs and business executives. For author Dean Kosage, publishing inspiration through this book came from a deeply rooted passion for helping others find the success in their lives inside and outside of work. By drawing on the experiences of dozens of professionals, this book has helped countless individuals gain the perspective necessary to assess their strengths and weakness, ultimately leading to more fulfillments in life.